Hi! I’m Maria. Born in Colombia and now living in England. My brain was trained as a Marine Biologist but my heart always has been beating for art, craft and design. I’m married with Mr. cat and I’m the mother of little miss VI -most of my sewing is for her- and Mr TR. 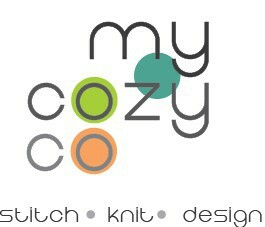 My Cozy Co. is a Craft/Design blog where I would like to feature tutorials, reviews, stages of my sewing/knitting paths and everything pretty that inspire my creative soul. Thank you for visit and hope you stay around! Warning! : English is not my first language. I spend the most of my life speaking, writing, thinking, dreaming in Spanish, but I thought it was a good idea to write my blog in both languages -due to the moving of hemispheres-. Then sorry if sometimes my writing in English is confusing. Hola! mi nombre es María. Nací en Colombia, pero ahora vivo en Inglaterra. Mi cerebro fue formado para ser Biólogo Marino. pero mi corazón siempre ha latido por arte, manualidades y diseño. Estoy casada con Mr Gato y soy madre de miss VI -la mayoria de lo que coso es para ella- y de mister TR. My Cozy Co. es un blog de manualidades y diseño, donde me gustaría publicar tutoriales, revisiones de patrones o técnicas, las etapas de mi camino cosiendo y tejiendo, así como todas las cosas bellas que inspiren mi alma creativa. Gracias por visitarme y espero que vuelvas pronto! Pingback: It’s Madeit Fashion Week!! | Fairies, Bubbles & Co.